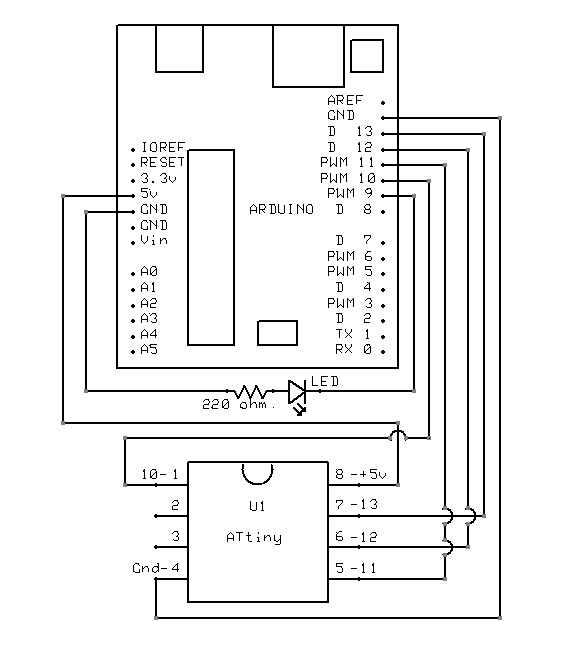 ATtiny / Arduino ISP Programming the ATtinyxxxx | The Wonderful World of Microcontroller! LED will blink id if theprogrammer is working. (capacitor is polarized, negative to Gnd).